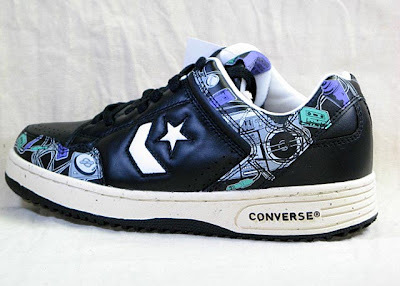 Hello to each and every person visiting the Converse Blog. If you're a first time visitor then take a few minutes and dig through the older post. 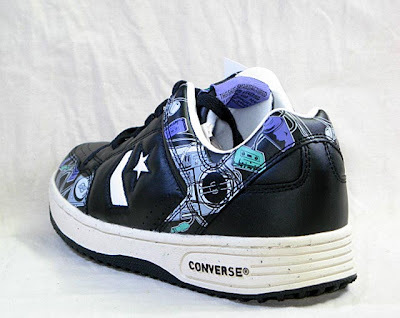 Wednesday are usually reserved for the Converse Weapon and today we'll continue that tradition. 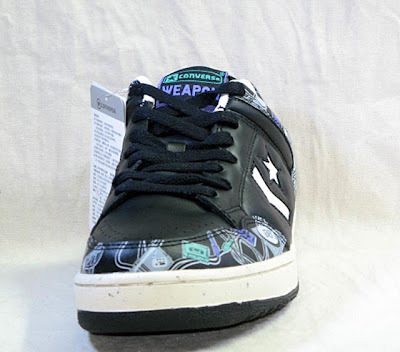 Today's Weapon is a Converse China release and is a black colorway of a Weapon I've shown before. They are designed with Hip-Hop elements. Can you spot all of them? Well that's it for today, sorry for the late post. I got called in late to sub for the Art teacher at the middle school today. I didn't have any plans, so I made them design shoes. 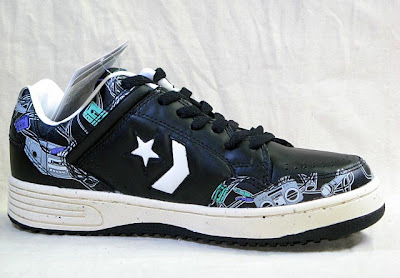 A lot of them designed some chucks, one actually looked pretty good. It was even a product (Red) chuck. Anyway, I'll be back Friday for more Converse goodness.